For some horse people looking for their next mount, the Thoroughbred is the obvious choice. While for many, they are a big ‘no-no’. Here are ten reasons to change your mind. 1. They’ve seen it all. The thoroughbred racehorse is often broken to saddle at two years old, educated to work on the track, walk into and jump out of barriers, travel on trucks, stand all day in the stalls, burst into a gallop then meander back home, and see all kinds of crazy things on their way. If you have the time and patience to ease them into their new life, you will find you have a pretty well rounded horse on your hands. The idea of nasty track vices like wind sucking and weaving often turn people off, but they are not as prevalent as you might think. Even less so once a horse gets the freedom of a paddock. Once a thoroughbred knows where they are and what is expected of them, loud noises, flappy things, and crowds are no biggie while the boutique breeds may not be so wise. 2. Surprise your peers. 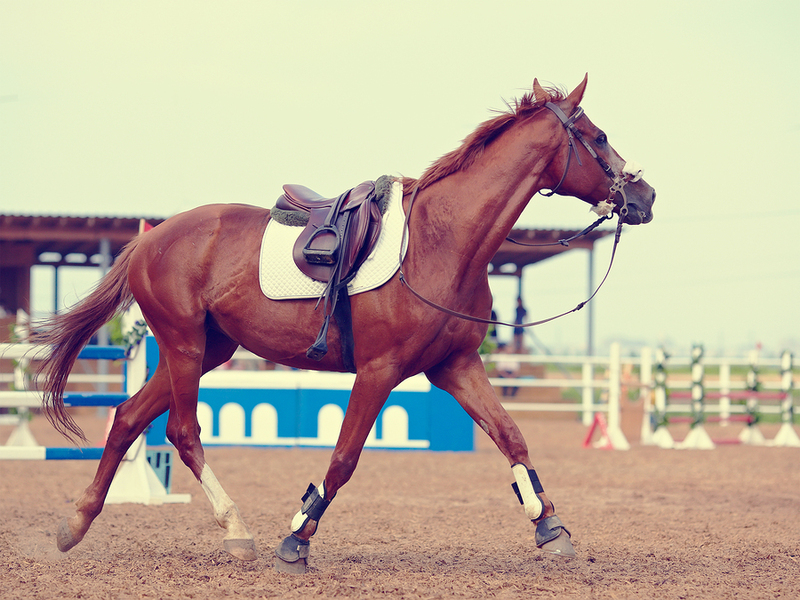 People are always describing their own horses and others’ horses as “Lovely…for a thoroughbred.” It shouldn’t be surprising that the thoroughbred, a horse who was bred to run with speed and stamina should succeed in our equestrian pursuits. Nonetheless, people will be pleasantly surprised, shocked even, to learn that the chilled out bay in your trail group won races across the state. Or the mare with the seamless lead changes in her workout was too slow for the track. Every time you take out your OTTB you represent the breed, and have the chance to change a mind or two! 3. You’ll laugh every day. Horses emerge from the racing industry with all sorts of quirks. Yes, some of them aren’t totally desirable, but mostly they just make you laugh. You’ll laugh when they taste their first apple, and drool all over you with a look of “Where has this been all my life? !” You’ll laugh when you say “no” and they confusedly come back for more. Off the track thoroughbreds are discovering a whole new world of treats, paddocks, friends, shows and so much more. Sometimes you will want to cry, but mostly you will laugh along as your OTTB fumbles his way to a new career. 4. They’re inexpensive. The thoroughbred racing industry is known for its rapid turnover of horses. While this can lead to some not-so happy- endings for horses, it can also mean you can pick up your next superstar for next to nothing. 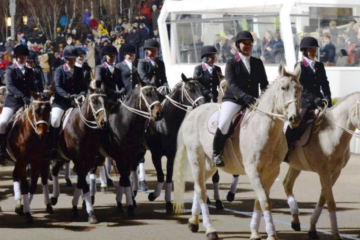 While the statistics show there is an ever growing prominence of European warmbloods at the highest levels of equestrian sport. The majority of these trace back to thoroughbred lines, and many are up to 50% thoroughbred. There really is no substitute for the rapid fire energy across country, or the delicacy of bone in the dressage arena that the thoroughbred offers. The huge numbers of off the track horses really works in the favour of us amateurs. 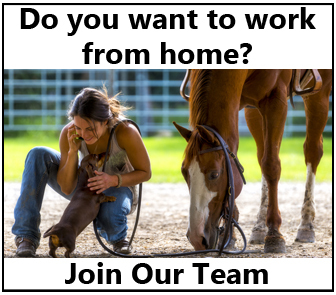 There is an endless supply of horses ready for a new career. They range from 14.3hh fillies that you just know can’t wait to get to pony club, to big powerful beasts you can already picture streaming around a 4*. While it can be a bit of a lucky dip. If you know what you want and are patient enough to wait, you can get the pleasure or performance horse you need without the price tag. 5. Athleticism. This is the obvious one. Thoroughbreds are athletes from the moment they hit the ground. Generations of fine-tuning went into each and every horse. Conformation, speed, stamina, wind, action- all carefully considered to create the ultimate equine athlete. Unlike their flashy, floaty cousins, piaffe and passage don’t come quite as easily. It takes careful and steady training, but nothing will ever surpass the unique and pure athleticism of a thoroughbred. 6. Fitness is a breeze. Thoroughbreds on the track have been carefully trained to be fit and strong. High intensity workouts make them both mentally and physically conditioned to give you everything they’ve got. When given the proper nutrition and a thorough understanding of expectations, the thoroughbred continues to work diligently. They stay relatively in-shape without the lengthy fitness work another breed might need, even after retiring from the track. Maybe it helps that they also do a few extra laps during their turn out than the average pleasure mount! 7. They’re hard working. There is this captivating moment at the racecourse, as the field rounds the bend into the straight. The jockeys click them up, and the horses pin their ears, flare their nostrils, grit their teeth, and they try. With tired legs and weary breath they knock up a gear and get stuck in. If you’re right down on the rail and pay attention to the fire in their eyes, and sheer power as every muscle exerts itself right to the line, it’s magical. Re-focus that energy while maintaining that competitive spirit and the thoroughbred is a force to be reckoned with in any discipline! 8. You will learn SO much. Owning a horse that knows nothing except how to run, and then asking it to be soft, flexible and versatile is one of the greatest learning experiences you will ever have as a horse person. Not only do they know nothing of dressage or sporting or whatever your discipline may be. They also come with their own habits and quirks to navigate. You will learn to be flexible in your methods and compassionate in your expectations. They will test your patience, and make you question your choice, but they will do their best to understand. Not only will you be a better rider for educating an off the track horse, but you will be a better all-round horse person. Many thoroughbreds spend their time protected from most day to day dangers, safely locked away in a stable. 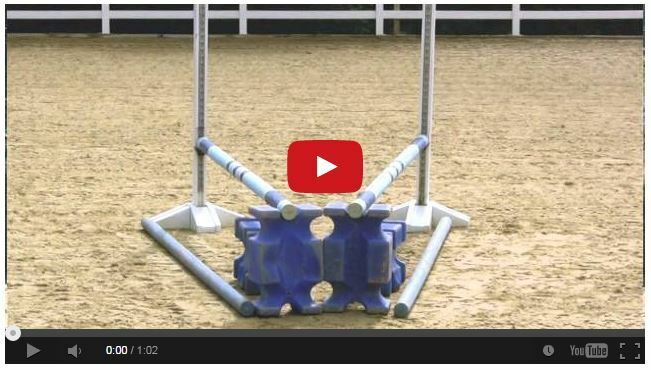 While it’s a no-brainer for your stock horse to stop before that fence or keep away from the ants nest. If there’s trouble to be found, its your thoroughbred who will find it! You will learn to bandage awkward spots, learn to double check gates and you’ll learn to just shake your head when you want to scream. 9. You’re saving a life. It’s a sad truth that there are some trainers who lack the time or the care to actively re-home their horses after racing. For some horses irreparably injured, the knackery can be the final destination for racehorses. Many times, the thoroughbreds in saleyard pens have gone through many hands since their racing days. With just a quiet seat, steady hands and a mind open to learn, you open the world up to an off the track horse. With a basic education, you give a horse the opportunity to excel, and to live well. An uneducated off the tracker always lives on the edge of falling into the wrong hands. A good temperament and a good start under saddle greatly increases the chance of a long and prosperous life. 10. It’s rewarding. Watching that lean but elegant thoroughbred transform is just plain rewarding! While it will take a gentle hand and unwavering patience, that thoroughbred will reward you over and over again. When they get that left lead even though the loud speaker started right in the middle of your test, you’ll do a little internal fist-pump. Gratitude will flow from your lungs when you feel them twist underneath you to avoid rubbing that last rail, even when you gave them a crappy distance. From the day they step off the truck, you will learn more and more about your new mount. Why the stable hands called him Cranky Hank or why her water trough needs tying down. You’ll learn the sound of their whinny and the beat of their stride. With careful nurturing your horse will flourish before your eyes. The thoroughbred has so much to give, a gentle companion and a fierce competitor-a loyal friend and a partner in crime. There are few words grand enough to describe the thoroughbred horse, but I’ll always happily call one mine. Written By, Freya Campbell. Share this on Facebook if you love an off the track thoroughbred! I’d like to know more about this? I would argue with “inexpensive.” Yes, their “purchase price” may be relatively low compared to other breeds, but many OTTBs come off the track because of damage done to baby bones and joints (a horse’s joints don’t mature until age five or so; racehorses are competing at two years of age, so they were ridden even younger). Their racing career ends due to these injuries. Diagnosing the damage and maintaining the level of soundness needed to move into a second career (other than trail horse or pasture pal) can be costly. My OTTB is 22; I got him at 4 and a half. He gets regular injections (hocks, front feet) and it’s rare that I leave the vet’s yard for under $500. Don’t feel too bad. I have a retired Quarter Horse who didn’t race and he has always required WAY more maintenance then my OTTB ever did. Just depends on the horse. Wouldn’t it be better to use a photo of a more successful horse (as opposed to one which is running loose in the show ring after ditching its rider)? How does a person get a retired race track horse? You forgot to add they are SUPER smart! I call them the Border Collies of the equine world. Usually once they incorporate knowledge it’s there for good. They are very capable of figuring things out for themselves. I think obstacle events – whether out on a trail or in an arena – are excellent places to see this in action. And if you are not a push-button horse type of person you will LOVE Thoroughbreds. They are very, very much not push-button. canterusa.org list off the track TBs for sale. I love my OTTB, he is so smart and patient with me. We laugh at each others goofs. I love my big boy. Not exactly the same thing but we adopted (from a local starvation rescue) a track pony a little over a year ago. I cannot say she is the most confident horse out on her own but with a crowd she is the most well behaved gal around, loads herself and waits patiently. I wish she was a little shorter (in my older age) but she makes up for it in putting up with my struggles. I love the article and totally agree with the content but why was that photo chosen?! 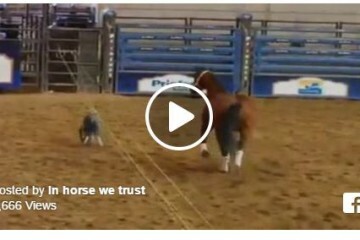 It looks like the horse has dumped it’s rider and is running around loose in the arena?